The W. HOFFMANN Vision V 158 grand piano sparkles with European sound, harmonious sound profile, pleasant playing feel: the W. HOFFMANN brand asserts itself confidently and successfully in competition with Asian grand pianos. Unlike mass production, C. Bechstein Europe’s new factory manufactures instruments with great responsibility and experience for quality in every detail. W. HOFFMANN Vision – these are robust, melodious grand pianos that stand up to professional demands. Sophisticated production structure and perfect technical know-how form the basis of this modern European character. Can any other premium manufacturer offer a better alternative for this low-priced grand piano series? Your ear immediately identifies the result: the W. HOFFMANN Vision V 158 grand piano is a valuable grand piano with harmonious, balanced sound, with impeccable touch – obvious quality in every respect.The Sound of Europe is the right idea for you, because the art of piano making is native to Europe and because at Bechstein Europe no compromises are made in building a price worthy grand piano. W.HOFFMANN Vision V 158 grand piano, by C. Bechstein Europe. Digital piano function for your W.HOFFMANN Vision V 158 grand piano. For all these uprights and grand pianos of the W.HOFFMANN Vision brand the exclusive Bechstein Vario System will be optionally available. This high-profile system allows you to play and practice any time. 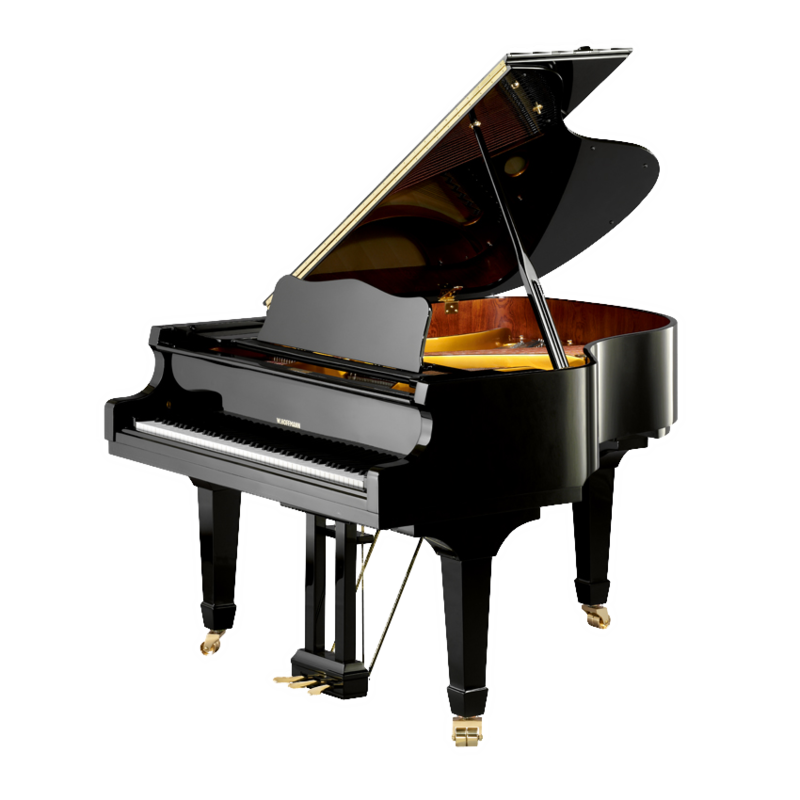 The Vario System for grand pianos and/or upright pianos makes the instrument even more flexible and valuable. The touch remains the same, but the hammers do not touch the strings, rather they are intercepted before touching the strings and reproduce the digitally pre-sampled sound of a concert grand piano by means of sophisticated electronic sensors. Your neighbors will love you! Please compare!